We are the leading organization in the industry to provide our clients the best quality range of Filter Bottom Cap. The provided set is precisely manufactured by our highly experienced professionals using the finest quality raw material and modern technology. Size: 20 mm to 110 mm. 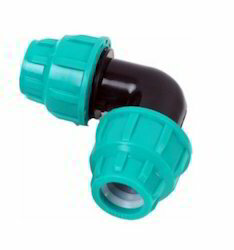 Usage: Pipe Fittings in Telecom ducts, Water supply. 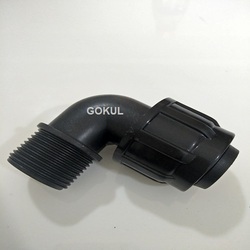 Our clients can avail a wide range of PE Compression Tee Fittings that are manufactured as per the specifications. We use high grade engineering plastic blends that are thoroughly tested for their quality.